The Best Family Vacation Of A Lifetime! This Grand Canyon whitewater rafting trip was a special family vacation with our adult kids. It just does not get any better than this. What a great trip. Everything about this vacation was exceptional. The Western River guides, Ronnie, Jeff, Marty and "Newman" were "over the top" fabulous! Competent, smart, knowledgeable and very very fun! The whitewater rapids were huge and very fun. 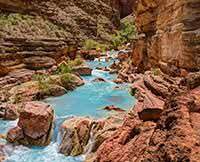 The Colorado River scenery is magnificent and the geology is amazing. The side hikes were gorgeous and amazing. 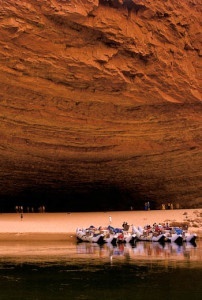 Floating on the Colorado River was magical and spiritual. This was a trip of a lifetime!